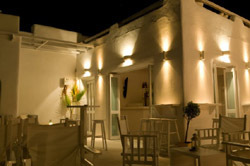 The first open-air bar in Naxos Town. 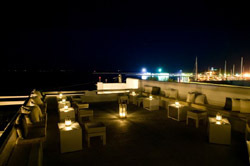 Enjoy your drink with a fantastic and very relaxing sea view. 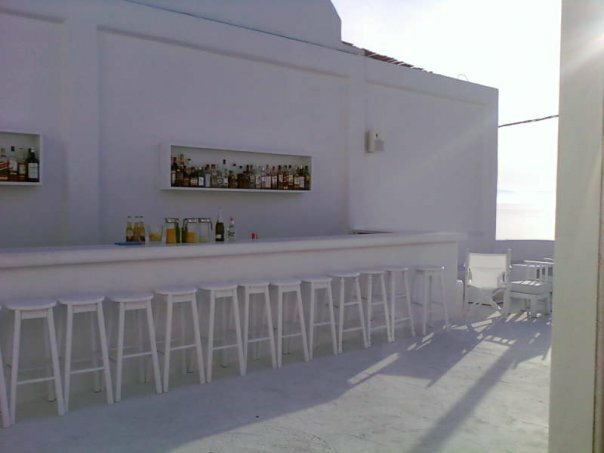 On the upper levels of the bar the view gets even better and you can see all the port of Naxos and the Apollo temple (Portara). 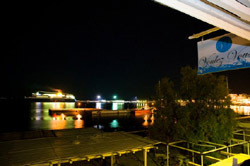 The entrance of the bar is located at a narrow street next to the Escoba bar.